This brilliantly calibrated thriller bests the leading sellers in its genre. Boasting a protagonist of irregular charm, and seeking the answers to questions both moral and existential, Robert Lane’s The Cardinal’s Sin hooks interest early and ramps up the suspense through to its provocative conclusion. The Cardinal’s Sin is the third novel in Lane’s Jake Travis series, but readers unfamiliar with this good-humored, estimable hit man won’t have any difficulty latching on to his layered tale. A thoroughly American response to agents of the James Bond variety, Jake Travis is an ex–special forces guy of unusual depth. His formidable and wide-ranging skill set includes a steady aim and a sense of righteousness, as well as literary recall and an ability to deliver half-sincere, half-sarcastic lines like “hard to imagine—anyone better at anything than me.” Lane fleshes out his lead aptly in the opening pages, guaranteeing fast investment in Jake’s morally fraught, dangerous adventures. While wrapped up in a European vacation with his perceptive true love, Kathleen, Jake is tapped to see through a contract on a foreboding fellow. Jake takes this work in stride—but is soon alerted that there’s been an unfortunate mix-up. The fellow he’s killed, as it turns out, was not merely posing as a Catholic cardinal: he was one, and a beloved one at that. 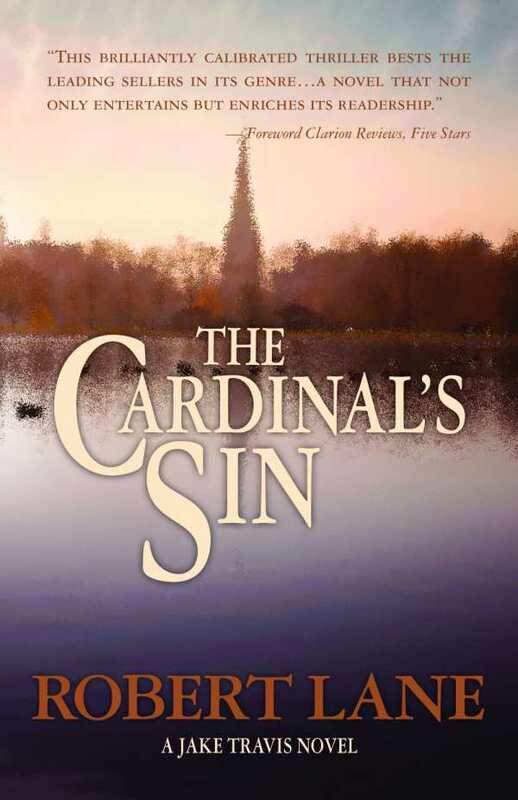 Jake immediately embroils himself in an investigation of the well-plotted details of the cardinal’s demise, through which he learns that all is not as it seems, even in the lives of those beloved for perceived progressivism within the church. Doing so involves creating a divide between himself and Kathleen, evading calculating killers, and confronting decades-old, spiritually perilous questions relating to the very nature of religion and truth. Lane’s writing is sharp, evocative, and engaging. These are pages as comfortable with deadpan articulations of fresh truisms—“bad men don’t wear shorts”—as they are with meditations on the nature of love, particularly where it’s tested by deception. Lane, through Jake, wrestles questions of cosmological import with skill, outdoing Dan Brown and writers of his ilk as he juggles between theology and mystery. Literary references run throughout, positioning Jake among the most well-read of international agents and lending the book an erudite air. The end result is a novel that not only entertains but enriches its readership—an impressive addition to a series certain to spark and maintain interest.